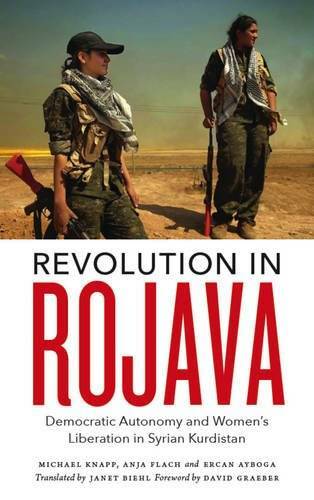 Revolution in Rojava” is an eye-witness account on the experience of creating a bottom up social order which actively challenges all forms of oppression and exploitation. The struggle in Rojava (a mostly Kurdish region north of Syria), despite the extent of counterrevolutionary and imperialist forces aligned against it, continues to nurture an autonomous, grassroots resistance across its multiply ethno-religious communities. Ercan Ayboga, co-author of “Revolution in Rojava” launched the book on a speaking tour of Ireland in December, the audio is the Dublin meeting where Ercan spends over an hour discussing the revolution with the audience. The meeting happened shortly after the fall of East Aleppo so this important event is also touched on.